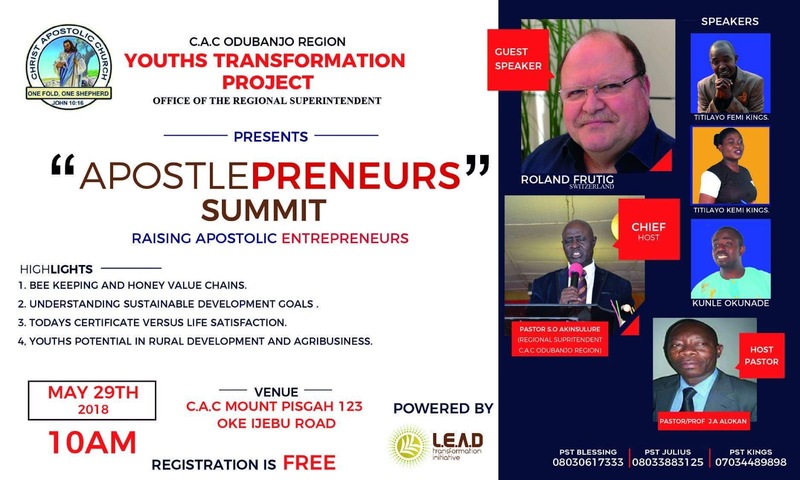 In a bid to raise Apostolic Entrepreneurs and youths with potentials, rural development and agribusiness, Christ Apostolic Church, Odubanjo Region has deemed it fit to hold "Apostlepreneurs" Summit on Tuesday May 29, 2018. 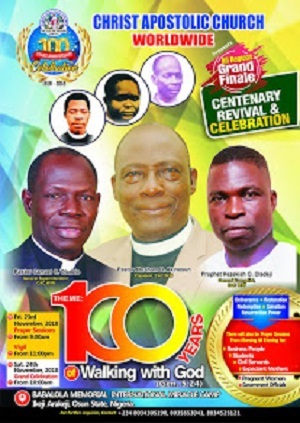 The "Apostlepreneurs" Summit which is a youth transformation project, is the initiative of the office of Odubanjo Regional Superintendent, Pastor S.O Akinsulure. 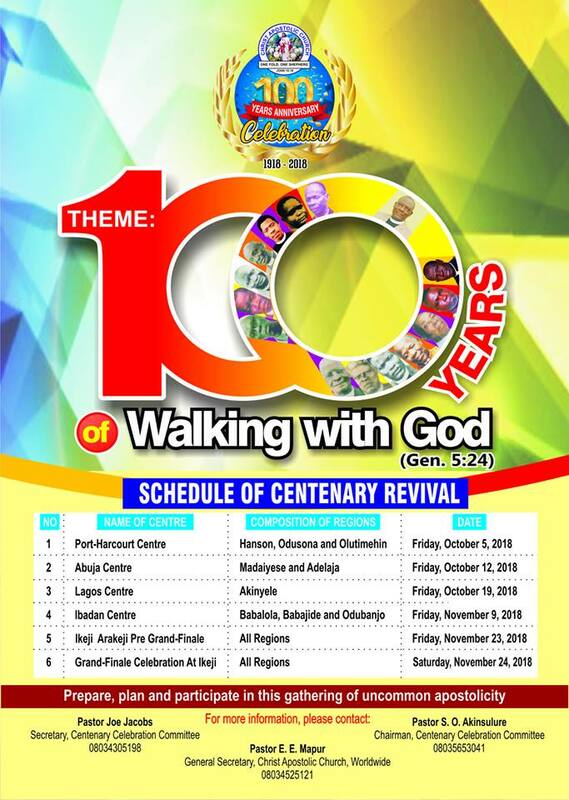 We gathered that the summit will start by 10am at CAC Mount Pisgah, 123, Oke Ijebu Road, Akure. Major highlights of the summit are bee keeping and honey value chains, understanding sustainable development goals, today's certificate versus life satisfaction and youth potentials in rural development and agribusiness. The Guest Speaker of the Summit is Roland Frutig from Switzerland. Pastor Titilayo Femi Kings, who is also one of the speakers told CAC NEWS that the summit is aimed at raising a new generation of entrepreneurs in CAC Worldwide. He asked further, "have you ever wondered how Joseph settled the problem of looming food scarcity in Egypt and and become the first APOSTOLIC ENTREPRENEUR? Joseph came up with the innovation of food storage and accomplished food security for the world.The God that gave Joseph that idea is still alive to birth amazing business ideas in us. CAC NEWS can authoritatively report that same summit will hold in Akinyele and other regions very soon. The Summit is a wake up call to all members and ministers in CAC Worldwide, particularly the youths. This is because Nigeria’s agricultural development is increasingly becoming a subject of interest, attracting not only the attention of foreign governments, but also companies. Many see it as an opportunity to invest in the potentially huge agric sector, while also supporting the country’s quest for development and poverty reduction.